A deck of playing cards, of course with a famous Fällkniven logo on the back. Use the form below to order the Fallkniven Playing cards . 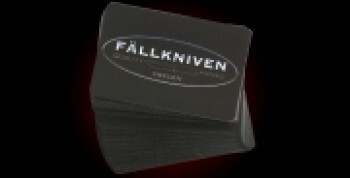 Feel free to contact us if you have any questions about the Fallkniven Playing cards .